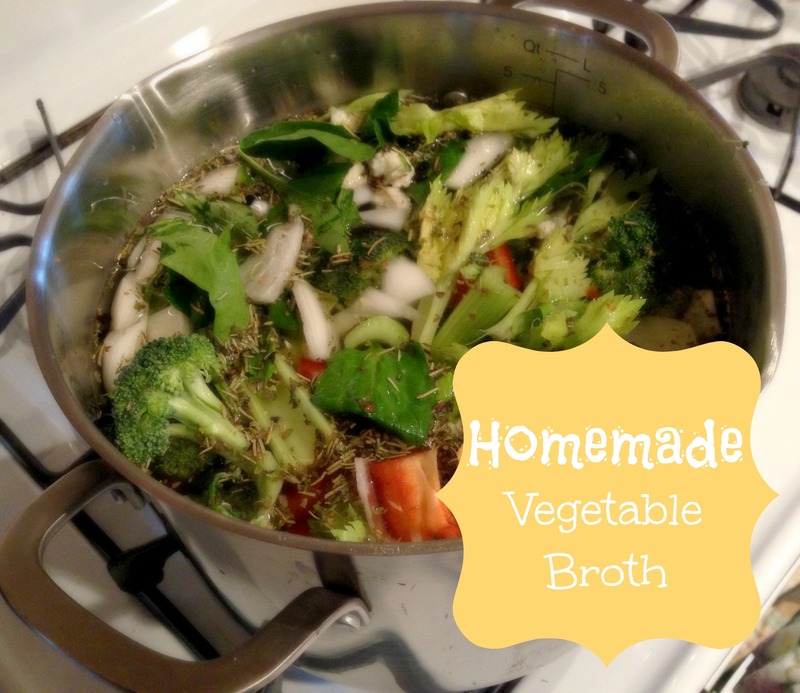 Last weekend I decided to attempt Homemade Vegetable Broth. How hard could it be? After all, I only make my Chicken Broth from scratch anymore, so this should be the same concept, just sans chicken. So I set to work chopping everything up. 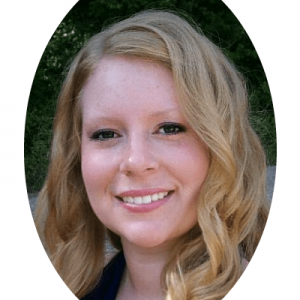 I wasn’t concerned with how pretty they were, just chopped everything to 1″ to 1 1/2″ chunks. 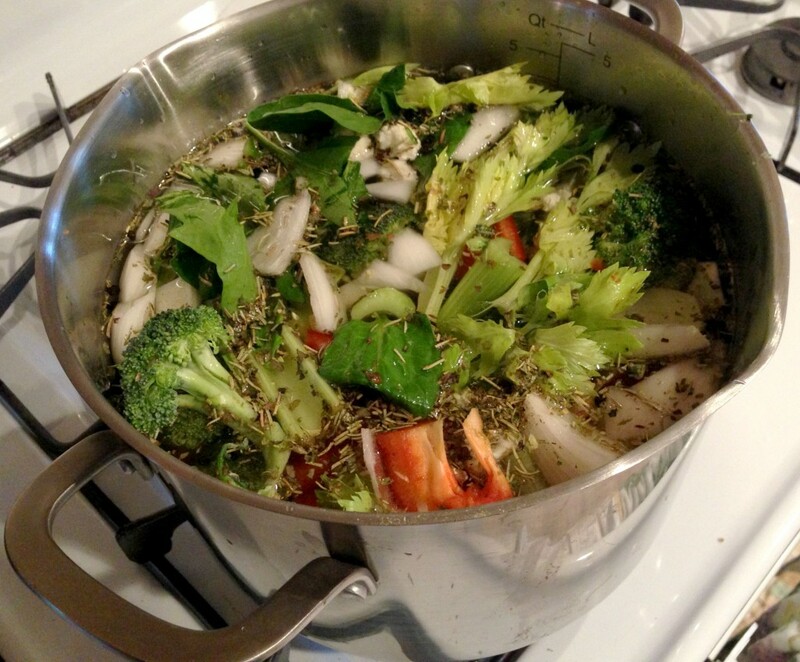 I tossed everything into my new stainless steel stock pot–BEAUTIFUL! Next I grabbed my spices. Since I left behind all of my fresh herbs at our home in Tennessee, I had to be content with just dried herbs. If you have it I would also recommend adding in some Sage. And of course–not pictured–good ol’ salt and pepper. I used WHOLE peppercorns, and COARSE sea salt. I think it gives off more flavor that way. As I’m sure most of you have caught on–I am not a measure out kind of gal. I throw in a sprinkle of this, a dash of that, a pinch of this. It all depends on your taste buds. …gave the pot a stir and then SLOWLY turned up the heat. Once I got the liquid to a low boil, I let it go for about 5-6 minutes, turned it down to a simmer, threw on the lid and let it simmer away for about 1 1/2 hours. You could let it go longer if you so desire, but I think after a point you start to just turn your veggies to mush and you lose out on all of that wonderful flavor. While it was simmering I checked on it a few times and gave it a quick stir. So the first thing you’ll want to do-and bear with me I forgot pictures–is strain out the liquid into a bowl. Once you have the cooked vegetables separated from the broth, I take my wire strainer which is finer than a colander, and strain the broth into a pitcher. 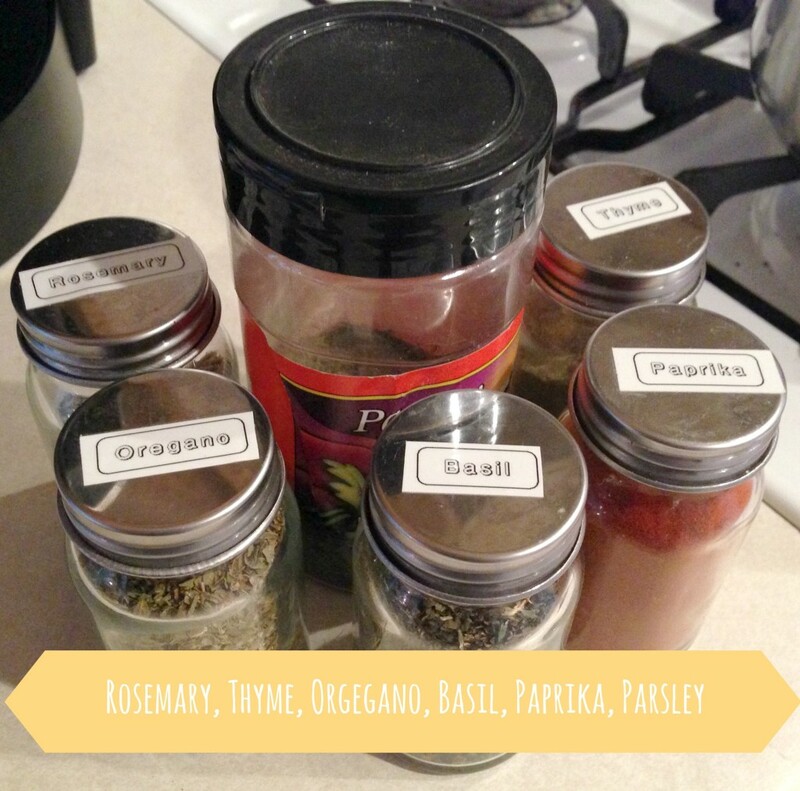 This gets rid of the leftover veggie particles and those whole peppercorns. The best part about homemade broth? No unnecessary sodium, or MSG, or any of those other preservatives that broth manufacturers like to feed us. AND it tastes much better than anything I’ve bought at the store. Wow I didn’t realize it was that easy and for some reason didn’t realize I could freeze it that easy either! Good way to use up left over veggies!! 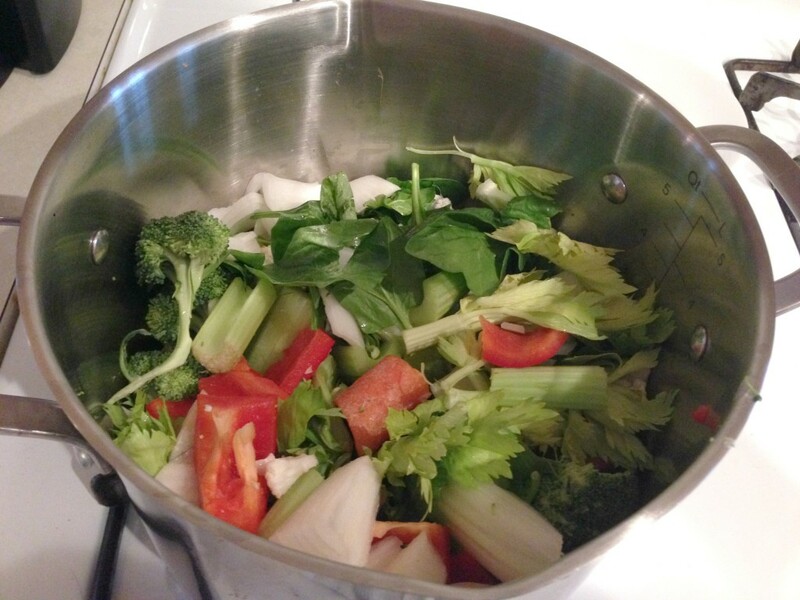 Question… any ideas on how to use the cooked veggies instead of just throwing them out?? I just threw my veggies in the compost pile because a lot of what I used was already on the iffy side anyway. Kind of just gave them one last hoorah before ditching them. But if you used veggies that are still good maybe make a soup with them and save the leftover broth? Or cook up some rice to eat with them?